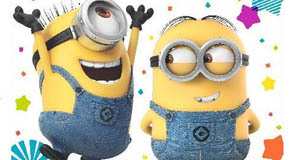 Learn how to make your garage safer and win fabulous prizes this month! Our Annual General Meeting is always a wonderful opportunity for members to come together to elect your Board of Management, hear an engaging guest speaker and enjoy a great day out. The actual AGM is very short so members can get the most from our guest speaker. 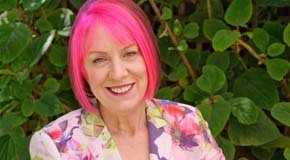 This year, we have a fantastic guest speaker, Pinky McKay to talk about 'Toddler Tactics – Making Magic From Mayhem'. Space is limited so register now to secure your seats for the live talk. Child minding area is available for members with young children. If you have young children in the family, we hope you will think about garage safety at the same time. This month, we have Carolyn Ziegler, child safety expert and advocate, as well as co-founder of iconic child safety brand Dreambaby® sharing with us some child safety tips around garage and driveway. You're late for work and your toddler is still mulling over which jacket to put on. Sound familiar? Well, you're not alone. Dressing a toddler can be a mind-bending experience for parents everyday. Read on for some tips on how to handle the clothes argument with your toddler. Ever wondered what scary monsters eat? Well, it turns out LEGO® DUPLO® bricks are their absolute favourite food! This Feed LEGO monster game is great for helping young children to learn numbers, colours and shapes – and they’ll be having so much fun they won’t even realise they’re learning. Babies love exploring their surroundings and interacting with new objects, textures, scents and tastes. 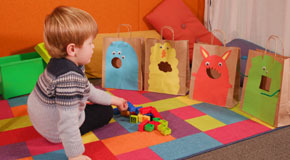 By pulling together different scraps of fabrics, you can create a wonderful sensory experience for your baby. 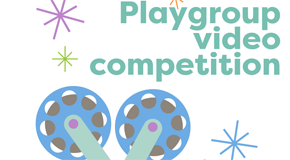 We invite you to share video stories from your playgroup and go in the draw to win $500 worth of toys for your playgroup! Playgroup Australia is putting together a collection of videos from playgroup participants that provide an overview of the diversity, importance and benefits of playgroup. We will be choosing the best clips for inclusion into promotional videos! Videos need to be submitted by 26th October, 2018. We all know that garage safety is so crucial for families with young children. 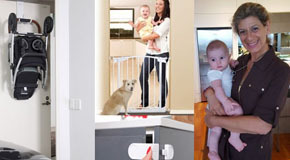 This month, Dreambaby's giving away two (2) fabulous Chelsea safety gate for Playgroup NSW members.